For two months every year, from 1946 to his death eighteen years later, Ian Fleming lived at Goldeneye, the house he built on a point of high land overlooking a small white sand beach on Jamaica's stunning north coast. All the James Bond novels and stories were written here. This book explores the huge influence of Jamaica on the creation of Fleming's iconic post-war hero. The island was for Fleming part retreat from the world, part tangible representation of his own values, and part exotic fantasy. It will examine his Jamaican friendships--his extraordinary circle included Errol Flynn, the Oliviers, international politicians and British royalty, as well as his close neighbor Noel Coward--and trace his changing relationship with Ann Charteris (and hers with Jamaica) and the emergence of Blanche Blackwell as his Jamaican soulmate. 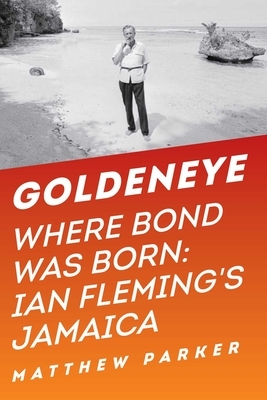 Goldeneye also compares the real Jamaica of the 1950s during the build-up to independence with the island's portrayal in the Bond books, to shine a light on the attitude of the likes of Fleming and Coward to the dramatic end of the British Empire.